The Nar Phu valley is a trek that combines remote villages of Nar and Phu, narrow canyons, lovely forests, amazing rock formations, yaks, Monasteries, Kang La Pass and unique Himalayan cultures. 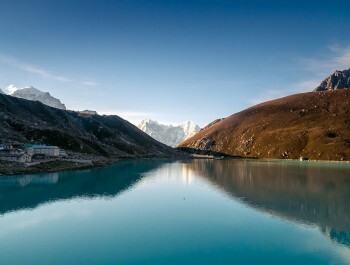 You should have physically fitness to do this trek. This trek starts from Chamje after 9 hours driving from Kathmandu. 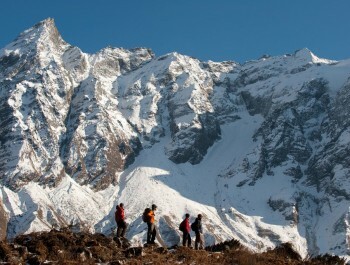 We hike same trail as Annapurna circuit trek. After arriving to Koto, we cross the bridge leading over the Marshyangdi River to the steep portals of the Nar Phu valley is easily missed, but although the entrance is narrow and forested, the valley system above opens up to a huge expanse of high snow-peaks, ancient villages and high altitude grazing settlements. Trekkers until late 2002, very few westerners have explored these virtually untouched villages or climbed the many 7000m peaks surrounding it. 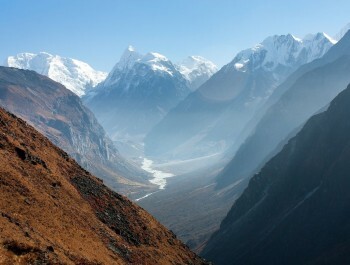 We will venture into this remote region of Nar Phu valley. Buddhist pilgrims from around Nepal might accompany us up to Phu to visit the renowned Tashi Lhakhang Gompa and receive a blessing from Lama Karma Sonam Rimpoche. Along with spending plenty of time at these colorful and timeless villages, we explore the high alpine valleys above Phu. 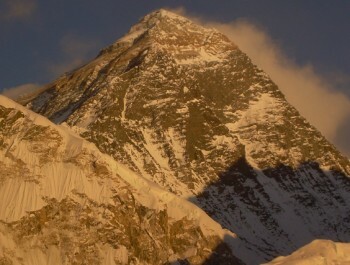 The Kang La (5315m) pass is amazing. 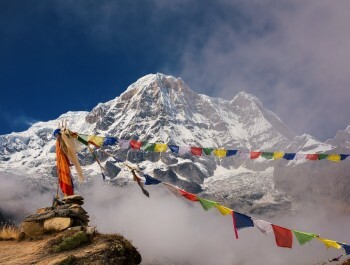 We may enjoy mountains view like annapurna II, Gangapurna, Tilicho peak then join to manang for annapurna circuit trek. 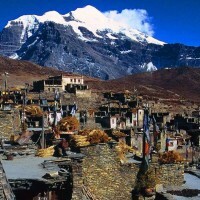 The village of Manang (3,500m/11483feet) marks the beginning of the next stage. You will come back from Manang to Chame from where you can drive back to Kathmandu by public Jeep. If you have time, you can also continue to Jomsom via Thorong La Pass. Day 02: Nar Phu Restricted area trekking permit preparation(NNGTNA) and briefing of Trek. Day 03: Drive from Kathmandu – Besishahar -Chamje (1310meters, 9 hours driving). Day 04: Trek from Chamje to Dharapani (1920meters, 6 hours walking). Day 05: Trek from Dharapani to Koto (2600meters, 5 hours walking). Day 06: Trek from Koto to Meta (3230meters, 7-8 hours walking) . Day 07: Trek from Meta to Phu Village (4050meters, 7-8 hours walking). Day 08: Excursion around Phu Village and Monastery. Day 09: Hike to Himlung Base Camp. Day 10: Trek from Phu to Nar Village (4150meters, 7-8 hours walking). Day 11: Explore Nar Village. Day 12: Trek from Nar - Kang La Pass -Ngawal (3675meters, 8-9 hours). Day 13: Trek from Ngawal to Manang (3550meters, 4 hours walking). Day 14: Explore around Manang. Day 15: Trek from Manang to Chame (2650meters, 7 hours walking). Day 16: Chame Drive to Kathmandu.